KYIV, Ukraine—Artillery and rockets have been raining down on the front-line town of Avdiivka in eastern Ukraine since Sunday, leaving 16,000 civilians, including 2,000 children, without heat, electricity, or clean water as temperatures dipped to 20 degrees below zero Celsius, or about minus 4 Fahrenheit. Avdiivka is a Ukrainian government-controlled town outside the separatist stronghold of Donetsk in eastern Ukraine. About half of the town’s pre-war population of 33,000 have fled since the war began in April 2014. 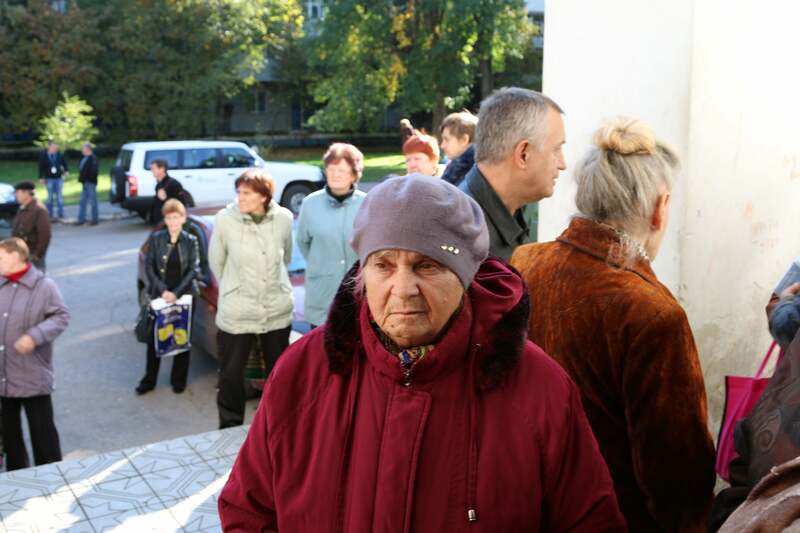 Of the 16,000 civilians who remain, 2,000 are children, according to Ukrainian officials. Since Sunday, combat has intensified along the 250-mile-long front lines in the Donbas, Ukraine’s embattled southeastern territory on the Russian border. Kyiv and Moscow have blamed each other for the spike in violence, exchanging differing narratives as to which side set off the attacks, and for what purposes. Ukrainian officials say that a combined force of pro-Russian separatists and Russian regulars in eastern Ukraine is deliberately trying to derail the February 2015 cease-fire, called Minsk II. According to one line of thinking, the attacks are a ploy meant to bait Ukraine into a counteroffensive, which Russia can exploit for propaganda purposes. “Russia and its proxies in Donbas continue to undermine the peaceful process, based on full and good-faith implementation of the Minsk agreements, by pursuing their political objectives through the usual blackmail of the indiscriminate use of force,” Ihor Prokopchuk, permanent representative of Ukraine to the international organizations in Vienna, said during a statement to the Organization for Security and Cooperation in Europe Permanent Council in Vienna on Tuesday. In turn, Moscow and the Donetsk People’s Republic—one of two breakaway territories in east Ukraine—have accused Kyiv of provoking the violence. They claim Ukraine is using the humanitarian crisis to vilify Russia and convince the U.S. and the EU to maintain punitive sanctions against Moscow. “The essence of what is happening around Avdiivka and already other communities at the engagement line is that Kiev is trying to use combat engagements it has provoked as a reason for completely giving up the Minsk accords,” Yuri Ushakov, a Kremlin aide, told journalists in Moscow on Monday, according to the Russian news site TASS. Kiev is the Russian spelling of Ukraine’s capital city. The U.S. and the European Union placed sanctions on Russia for its 2014 annexation of Ukraine’s Crimean Peninsula, as well as for Moscow’s military interventions in eastern Ukraine. The U.S., for the moment, is resolutely in Ukraine’s corner. “Russia and the separatists initiated the violence in Avdiivka,” Kate M. Byrnes, acting deputy chief of the U.S. Mission to the OSCE, said in Vienna on Tuesday. According to Ukrainian military reports, as well as civilian accounts from Avdiivka, combined Russian-separatist forces launched an infantry assault on Ukrainian military positions in Avdiivka on Sunday. 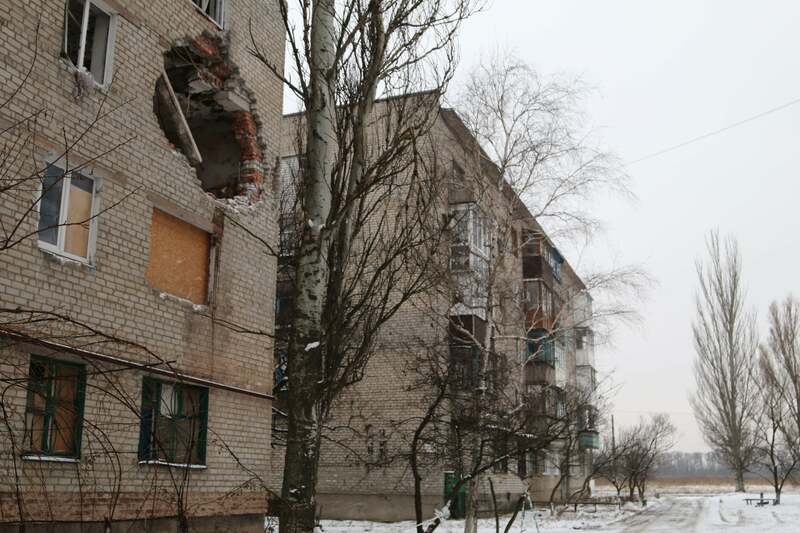 The Ukrainian military repelled the attack, but artillery and rocket attacks didn’t let up. Eight Ukrainian soldiers were killed in the fighting on Sunday and Monday, and 26 were wounded. The Ukrainian Ministry of Foreign Affairs said Ukrainian forces in Avdiivka were shelled 400 times on Sunday, and 800 times on Monday. On Monday night, combined Russian-separatist forces fired 80 Grad rockets at Ukrainian positions, according to Kyiv. Eight Ukrainian soldiers were killed in the fighting on Sunday and Monday, and 26 were wounded. The Ukrainian military and humanitarian groups like the Red Cross also reported civilian casualties. On Sunday, shelling damaged three of the four power lines supplying the Avdiivka Coke Plant. Shelling destroyed the fourth power line on Monday, cutting off all power to the facility. All power and heating for Avdiivka and its 16,000 remaining residents comes from the coke plant. And so, as temperatures plunged double digits below zero Celsius, Avdiivka went dark and cold. Ukrainian officials considered evacuating the civilian population, but as of Wednesday, evacuations were still voluntary. About 80 buses are standing by, ready to evacuate as many as 12,000 people. On Tuesday night, combined Russian-separatist forces launched another ground assault on Ukrainian positions in and around Avdiivka. Ukrainian forces repelled that attack, as well as another one on Wednesday morning, comprising a 30-man infantry unit supported by indirect fire from BM-21 Grad multiple launch rocket systems, and 152 mm artillery, according to a statement from the Ukrainian military. Throughout the day Wednesday, calls for a truce have been made, and then promptly violated. Combined Russian-separatist forces provided a written proposal to the Ukrainian military, calling for a cease-fire in Avdiivka from 10 a.m. until 5 p.m., which is about the time it gets dark in east Ukraine in winter. Yet, after the provisional truce went into effect Wednesday, the shelling resumed, according to statements from Ukrainian military and civil officials. “An hour ago, the enemy requested a truce and, taking advantage of the calm, launched an attack,” the Ukrainian army’s 72nd Brigade, the unit deployed to the front lines around Avdiivka, posted to its Facebook page shortly after the cease-fire was supposed to start on Wednesday. “The battle is still ongoing,” the unit wrote. “At first they [combined Russian-separatist forces] asked for cease-fire, but they regrouped and went on the offensive 10 minutes later,” Donetsk Military and Civil Administration Gov. Pavlo Zhebrivskyi wrote on Facebook. 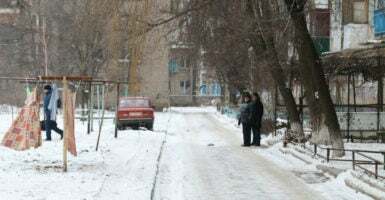 As of late Wednesday afternoon, fighting in Avdiivka had not yet stopped, but had relented enough to allow, for the first time in days, workers to begin repairs needed to restore heating. The Avdiivka hospital was operating on an “autonomous” source of power, according to area officials. And as of Wednesday, 11 warming centers were up and running, providing civilians places in which they could escape the cold. The Ukrainian military has also set up warming tents for civilians. International aid groups have also stepped in to address the humanitarian crisis. The Red Cross responded by delivering items like blankets, candles, mattresses, flashlights, and tarpaulins. The United Nations World Food Program also told The Daily Signal that it was delivering food parcels to Avdiivka. The spike in fighting could deal Ukraine an economic blow. The Avdiivka Coke Plant produces 40 percent of Ukraine’s coke supply, and is the largest coke production facility in Europe. Coke is a fuel made by refining coal, which is then used as a precursor to producing different types of gas, as well as smelting iron ore into steel. Since June 2014, nine workers at the Avdiivka Coke Plant have been killed by artillery. “There is no need to repeat what destiny is awaiting the residents of Avdiivka, should Avdiivka Coke cease its operation, and what catastrophe it will be for the economy of Ukraine, if Avdiivka Coke shuts down,” Musa Magomedov, director of the Avdiivka Coke Plant, wrote in a December 2016 statement, after an artillery attack cut off power to the plant for 24 hours. Avdiivka is considered a “monocity,” a carryover classification from the Soviet Union denoting cities or towns dominated by a single industry or company, which were a key part of the Soviet planned economy. In the case of Avdiivka, the town orbits around the coke plant, which is run by Metinvest, a Ukrainian mining and steel company. Metinvest owns industrial facilities throughout Ukraine, including the country’s second-biggest metallurgical plant, the Ilyich Iron and Steel Works in Mariupol. As of Wednesday evening, an uptick in fighting on the periphery of Mariupol—comprising artillery, armor, and rockets—had not impacted operations at the plant. The Avdiivka Coke Plant is the largest coke production factory in Europe. The Ilyich Iron and Steel Works does, however, receive coke for smelting iron ore from the Avdiivka coke factory. Thereby, a long-term disruption of operations at the Avdiivka Coke Plant could ripple throughout Ukraine’s metallurgical industry. 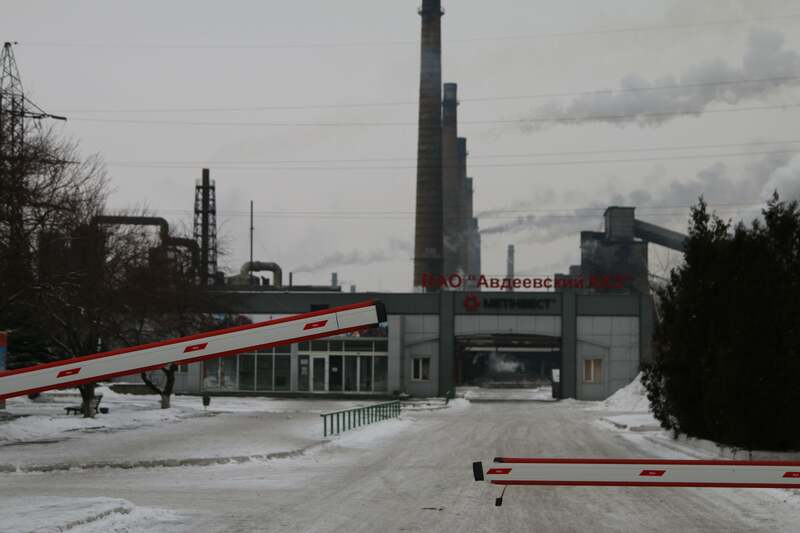 On Wednesday, Magomedov, the Avdiivka Coke Plant director, told Ukrainian journalists that it would take three to four days to get the facility back up and running once the shelling had stopped. But the Avdiivka Coke Plant was dealt another setback on Wednesday afternoon when the only railway line connecting Avdiivka to the rest of Ukraine was damaged. “I hope the repair crews will work quickly … this is a real challenge for the company,” Magomedov said on Ukrainian TV. Some analysts have attributed the recent spike in violence in Ukraine to peripheral events. For one, the violence began one day after Saturday’s phone call between Russian President Vladimir Putin and U.S. President Donald Trump. 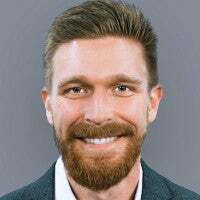 One line of thinking is that this week’s escalation is a move by Putin to test the White House’s tolerance for Russian provocations in Ukraine. Also, on Wednesday, Ukraine begins its one-month presidency of the United Nations Security Council—a rotating billet based on the alphabetical order of countries’ names. Ukraine, which is a non-permanent member of the Security Council, has repeatedly called on the U.N. to send a peacekeeping force to Ukraine to enforce the cease-fire. Through the U.N., Ukraine “will continue using every opportunity to defend Ukraine against Russia’s military aggression,” Poroshenko said on Twitter Wednesday. Russia is a permanent member of the U.N. Security Council.